Headquartered in Fargo, ND, eOne Solutions is the proud creator of smart, configurable, and integrated software tools for business platforms and web services including Microsoft Dynamics CRM, GP, Microsoft SQL, and Salesforce.com. eOne develops “no code” software solutions for mid-market enterprises which enables customers to fit their business systems to their specific business requirement. eOne has a family of seven flagship products – including SmartConnect, SmartList Builder, Extender, SmartView and more specifically designed to enable business users with the easiest way to view, automate, report, and take action on information. In 2005, Microsoft and eOne built one of the most successful OEM partnerships in the history of Dynamics. With more than 13,000 companies trusting eOne tools daily and over 21,000 installs worldwide, eOne helps more Dynamics customers and partners than any other ISV or service provider. Centage Corporation develops automated, budgeting, and planning software solutions for small to medium-sized organizations. Its flagship product, Budget Maestro® is an easy-to-use, scalable, cloud-based budgeting and forecasting solution that eliminates the time-consuming and error-prone activities associated with using spreadsheets. Designed to support a comprehensive Smart Budgets approach to corporate planning, Budget Maestro offers built-in financial and business logic which allows users to create and update budgets and forecasts quickly and accurately. It is the only solution that offers synchronized P&L, balance sheet and automatically generated cash flow reporting. Budget Maestro serves more than 9,000 users worldwide. 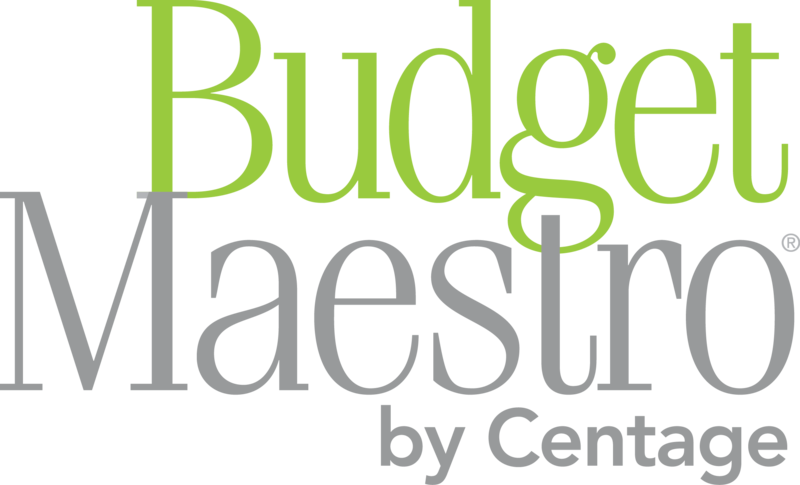 Visit us at Centage.com, follow us on Twitter, or visit the Centage Blog for the latest insights on budgeting and forecasting strategies. It’s time to move beyond spreadsheets and formulas. Test drive the power, flexibility, and functionality of Budget Maestro today and request your Free Demo from the CAI team. Not ready for a demo? Watch a 3 Minute Tour! Paramount Technologies is a leading global provider of web-based / mobile spend management and workflow automation solutions for midmarket and enterprise organizations. Our WorkPlace solutions automate Requisition, Procurement, AP Invoice Automations, Project Time, as well as Travel and Expense transactions. We make internal workflow processes more efficient, improve employee productivity, reduce time and errors, and save money. As a complete document management, workflow and transaction automation solution, PaperSave captures information to maximize user productivity, increase processing speed, and lower costs. Users benefit from quick retrieval of information reducing the number of vendor inquiries, late payments and time spent looking for information that are either lost or misplaced. PaperSave’s unique integration provides one click access to documents related to records within Intacct, Microsoft Dynamics AX, GP, SL, CRM and Blackbaud’s Raiser’s Edge®, Financial Edge™, Educational Edge™ and Enterprise CRM. Our flagship product, Mekorma MICR, is the best-selling check printing and EFT security enhancement for Microsoft Dynamics GP. Designed and built exclusively for Dynamics GP, Mekorma MICR targets specific shortcomings in the payment processing and corrects them. Because Mekorma MICR becomes part of your GP system, it continually adapts to the system improvements and gets better with every update. Our mission is to engage every individual and company using Microsoft Dynamics GP in value-added networking and knowledge sharing, and to be the single most important communication channel for Microsoft to seek guidance on future development of Dynamics GP. The idea for the Dynamics GP User Group (GPUG) grew from the vision of a few Microsoft Dynamics® users – to connect with other Dynamics users and learn firsthand the best way to leverage the software they used every day. From that initial vision to the official founding of the Dynamics GP User Group (GPUG), and continuing today, our mission has never wavered: to maximize the value to individuals and companies using Microsoft Dynamics GP. Avalara, Inc., is a leading cloud-based software platform provider that delivers a broad and growing array of compliance solutions related to sales tax and other transaction taxes, such a value-added tax. Our mission is to help businesses of all sizes achieve compliance by delivering comprehensive, automated, cloud-based solutions that are fast, accurate, and easy to use. Centerprism delivers a low cost, fully integrated ERP software package and ERP system. The Centerprism system is dedicated to reducing Enterprise Resource Planning (ERP) complexities for the small to mid-size distribution company. The software and system platform is the only ERP solution developed to meet all the needs of the wholesale distributor. This all-in-one product replaces multiple software solutions often piece-mealed together to accomplish the same objectives. Centerprism is the answer for your ERP software and ERP system. From inventory management, order entry, AR collections, Sales Management and the best financials available, this software system offers the greatest range of solutions available in the market place.